Last edited by Tullyquinn11 : 10-03-2016 at 01:15 AM. were made in the interiors of collapsing stars. 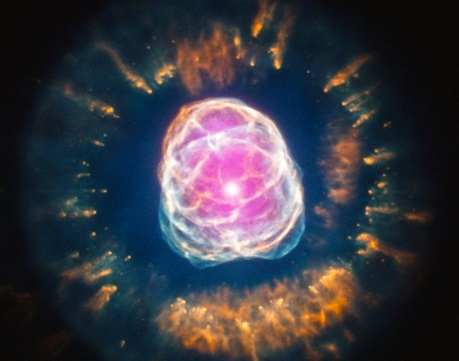 Hubble Telescope:A Sun-like star in its end phase of life about 4,200 light years from Earth. John Keats, Ode to a Grecian Urn. And you won't find that Love comes easy but that Love is always right.So even when the dark clouds gather you will be the light. "In the beginner's mind there are many possibilities, but in the expert's there are few." Shunryu Suzuki Roshi. I like this. Our running group did a long distance trail run in the country/forest side. Resonates well.